Chinchillas are native to South America and are about the size of a small rabbit. 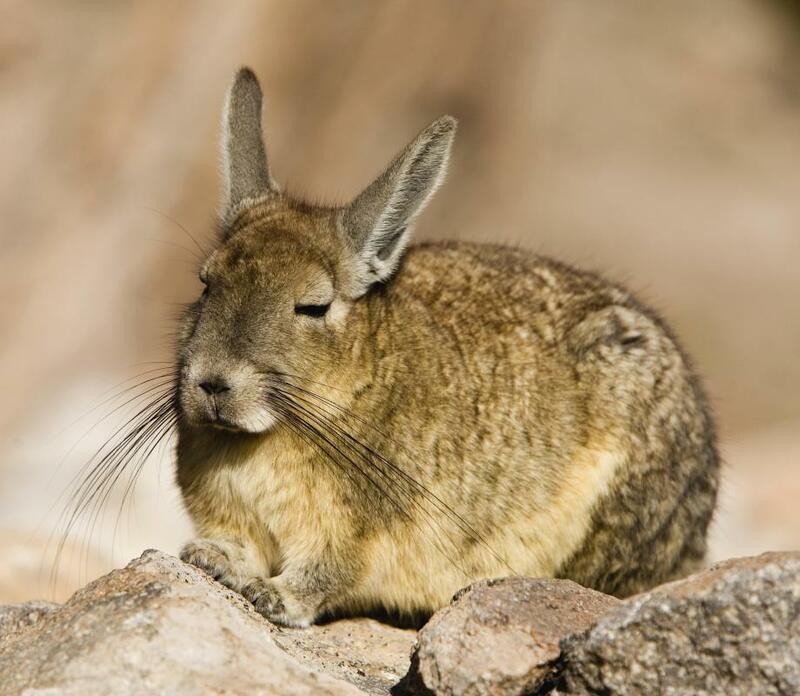 The chinchilla is a small animal native to South America and named after the Chincha people of the Andes Mountains. About the size of a small rabbit, chinchillas are crepuscular rodents, which means that they become active during times of twilight, or dawn and dusk. Chinchillas can make exceptional and interesting pets, provided they are handled properly and given the appropriate environment to live in. The most important provision for a pet chinchilla is a stimulating chinchilla cage. Many pet stores and suppliers offer chinchilla cages. However, there are wire cages made for other types of pets that serve equally as well as chinchilla cages. For example, ferret and parrot cages make satisfactory chinchilla cages because they are usually built twice as high as they are wide. Since the chinchilla is a natural climber and can jump up to five feet (1.524 meters), it’s important that his cage offer this kind of freedom of movement. In terms of overall floor space, a dimension of 24 by 24 inches (60.96 centimeters) at minimum is recommended for all chinchilla cages. The cages should also offer a variety of stimulating activities. Hanging toys made of wood for chewing are good choices, providing they are made of apple, birch, or willow. However, wood from conifers, particularly cedar, should be avoided since they contain resins that are toxic to chinchillas. Since these creatures are avid chewers, chinchilla cages should always be free of materials that can become lodged in the animal’s intestines. Plastic of any kind is a particular threat. Proper air circulation also needs to be considered for a good chinchilla cage. Aside from helping to mitigate odors, chinchillas cannot produce sweat. This means that in elevated temperatures, the animal can’t regulate its own body temperature and can easily become overheated. In fact, cases of heat stroke in chinchillas have been reported. So, try to keep the environment around the cage under 77 Fahrenheit (25 Celsius). Chinchilla cages must also be cleaned on a regular basis. In fact, try to obtain a cage in which the bottom has a pull-out or drop-bottom tray for easier removal of feces and other debris. Appropriate bedding for chinchilla cages include newspaper or other paper pulp. Wood shavings can also be used, as long as it’s not cedar or derived from another conifer. Aspen wood shavings, however, are preferred. A well chosen chinchilla cage provides a comfortable environment for the pet chinchilla to den, play, and bed in. However, if you’re considering adopting a chinchilla for the first time, keep in mind that they remain aloof most of the day and become active at dawn and early evening. Chinchillas can be somewhat skittish overall, especially when it comes to handling and touching by humans. However, with patience (and supervision), these creatures eventually learn to enjoy brief periods of playtime with their human companions away from their cages. What are Some Alpine Animals? How can I Create a Pet-Friendly Family Room? Can I Keep a Ferret As a Pet? What is a Good First Pet for my Child? Since chinchillas are nocturnal animals, the cage should be large enough to house plenty of toys for the pet to chew on, and keep itself busy at night.